Lord Adonis has called the ‘endless delay’ in confirming plans to expand Heathrow airport a ‘serious infrastructure failure’. The National Infrastructure Commission (NIC) chairman warned that the UK faces ‘gridlock on the roads, railways and in the skies, slower mobile and broadband connections and ever-worsening air quality’ unless the Government tackles the key issues of congestion, capacity and carbon. He gave the warning as the NIC published a consultation draft of its National Infrastructure Assessment, which sets out the vision and priorities for helping meet the country’s infrastructure needs up to 2050. 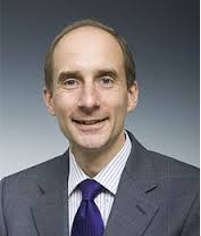 Lord Adonis said: ‘We have a proud history in this country of delivering world-class infrastructure – but for years funding has been squeezed, policy decisions have been erratic and the network is showing signs of age and strain. ‘The endless delay to a Parliamentary decision on Heathrow is a case in point – and perhaps the most serious infrastructure failure of all. If we are to make the most of our economic potential and compete globally, we need the “Heathrow is full” sign to come down. As Transport Network has reported, there appears to be further slippage in ministers' plans to put a draft Airports National Policy Statement (NPS) – providing formal backing for expansion – before Parliament. The Department for Transport has told Transport Network that ministers expect to publish the final NPS in the first half of 2018 for a vote in the House of Commons, compared with a previous target of ‘winter 2017-18’. Marie-Claude Hemming, director of external affairs for the Civil Engineering Contractors Association (CECA), said: ‘Now that the commission has set out a blueprint for the UK’s future economic prosperity, the Government must work with industry to ensure that these ambitious plans become a reality. ‘In particular, we welcome the Ccommission’s recognition that the continuing delay in expanding Heathrow is having a detrimental effect on the UK economy as a whole.